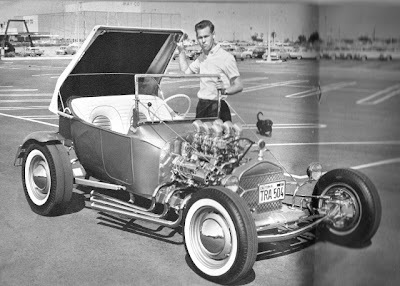 In my earlier post about The Real History of the Fiberglass T-Bucket Body, it was noted that the first fiberglass T-Bucket roadster was built by hot rodder Buzz Pitzen. 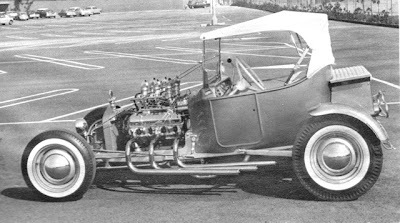 The story of how Buzz came to purchase that first fiberglass T-Bucket body is a fascinating look at why over 50 years ago someone would use a fiberglass body. I’ll let Buzz tell the story: “Early in 1959 at the age of 24 I had just sold my fully restored and rodded 1929 flathead roadster to a young fireman, John Rassmussen. John lived in Westchester a nearby town. 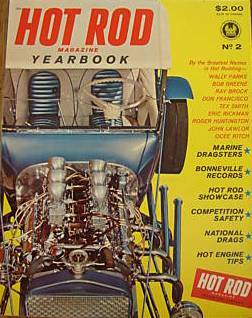 Soon after he bought the car, John was contacted by Hot Rod Mag and it was featured on the cover and centerfold of the March 1959 issue. This was a beautiful car and I always regretted having to sell it but I had a young Family and needed to get into my first house. It all worked well. John was a great custodian of my car and gave it the best of care. John went on to do some serious drag racing driving my roadster everywhere.” (Note: The Hot Rod article said John Rasmussen “lavished” $3000 on the roadster, which was a significant sum then. Basically, though, the only change John made after purchasing this beauty from Buzz was to add the Moon Disc wheel covers). 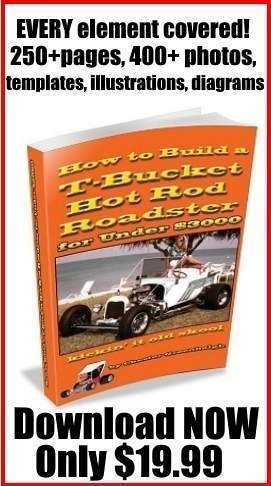 “Anyway, with a new two car garage to work in, my long past desire to build a T-Bucket got underway. Back in the 50’s finding a ’23 T roadster bucket was impossible. 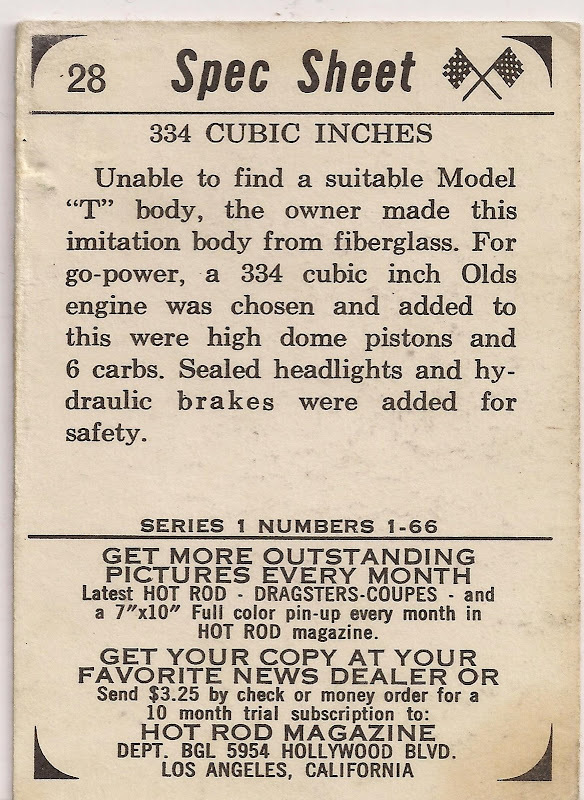 They were out there somewhere, but without Hemming’s and the Internet, forget it — only the luckiest hot rodders had one and they were not going to part with it. 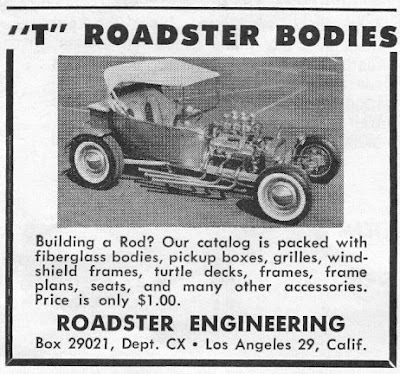 As you attested in your blog article about how Bud Lang and Curt Hamilton had to rent, not buy, a T body for Dean Jeffries to clean up to make their first body plug, these baby’s were scarce.” (Note: This is the perspective from Buzz, in rust-free Southern California). Ironically, a picture of Buzz’s bucket was used in 1964 to promote the fiberglass T-Bucket bodies of another manufacturer. 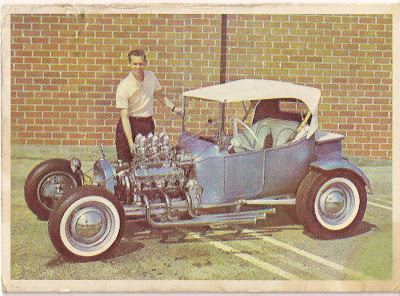 The T-Bucket industry and T-Bucket hot rodders owe a huge debt of gratitude to Buzz Pitzen. 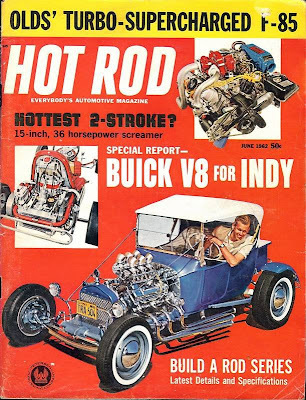 Because Buzz was a skilled craftsman and meticulous builder with strong attention to detail the world’s first fiberglass T-Bucket was awarded the most coveted car magazine cover of the day. Thanks to his efforts, the world saw that a fiberglass T-Bucket could be made to be beautiful and functional, while rivaling the steel original in integrity of line and excelling in terms of value. Thanks Buzz!